The people of Florence and their marvelous city never fail to impress. They will surprise you with artistic and architectural masterpieces at every turn, and you will come to agree with us that this capital city of Tuscany is a very special place to take your vacation. By renting a Florence apartment, you will develop an intimate bond with the cobblestone streets, the hand tossed pizza, and the latest trends of hip Italian fashion. Italians love their gem set upon the Arno River, and they will eagerly share with you the secrets of the city's magic as you relax at a candlelit restaurant upon the Piazza della Repubblica and taste a traditional specialty of tomato stew and tender flank steak. The beauty of this city is timeless, and you will immerse yourself in the artifacts of Florence's role in ancient and Renaissance period Italy mingled with modern shops, speedy mopeds, and the rhythms of street musicians. 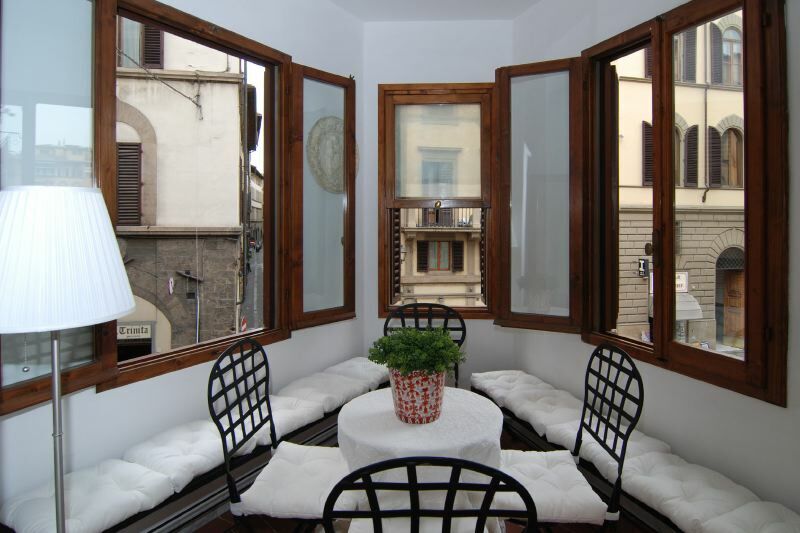 Your Florence apartment will set you next door to many of the buildings that were owned and lived in by the Medicis, who reigned here for decades and left their mark on the city with abundant classic works of art, prominent villas, and gorgeous gardens. The modern version of the Medicis, the Ferragamo family, are very much in evidence today in the shopping districts and elegant apartment buildings. Set yourself on a treasure hunt of the Medici family crests which still adorn many public buildings today, and trace these prominent historical figures' mark upon Florence's past! 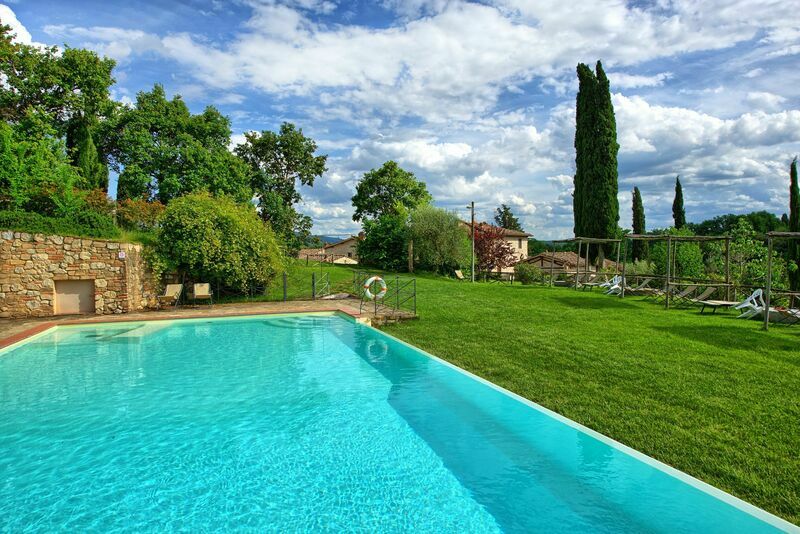 Florence is conveniently located close to many other treasures of Tuscany. A drive to Siena, San Gimignano, Pisa, or Lucca will satisfy your appetite for Italian culture captured on hilltop villages or in the groves of olive trees. After a long day of sight seeing around Florence or a day trip to the countryside, there is nothing more relaxing than coming home to your Florence apartment and having a sip of one of the regional Italian wines! Search for a Florence apartment rental - Start with our convenient search screen and look by availability dates and preferences. When you see properties you like, send us an inquiry or reservation request. 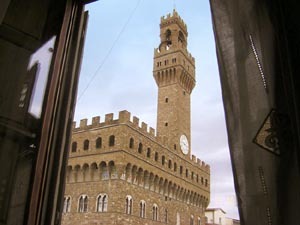 Want to consult a travel consultant who knows Florence? Fill out our contact form - Let us know a little about what you are looking for and we will get back to you with our selections and comments.